Menorrhagia is characterized by heavy bleeding and cramping that prevents the woman from continuing with her daily activities. A common symptom of menorrhagia is the need to change sanitary pads or whatever you are using, every hour and for several consecutive hours, and even use double protection to prevent run-off. Unfortunately, it is difficult to define exactly how much flow a "normal" woman releases. A work published in the Journal of Obstetrics and Gynecology showed that factors such as age, motherhood and (to a lesser extent) height affect the amount of menstruation that is released in each period. It is estimated that the average is between 10 and 35 ml. But among the study participants, some menstruated from just one spot to two cups. 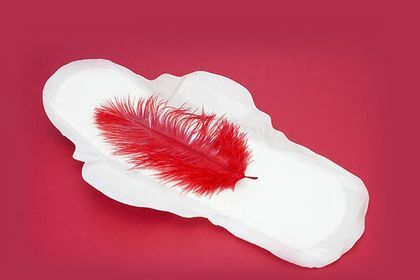 The common duration of a period ranges from four to six days. There are several causes behind menorrhagia, with the most common one being hormonal imbalances. Estrogen and progesterone are the hormones that control the growth of the endometrium (the lining of the uterus that is created to receive a possible embryo). When the levels between both hormones lose their balance, the endometrium can grow more than usual, which will cause a more abundant flow. This hormonal change happens due to several reasons, some of them being due to polycystic ovary syndrome, ovarian malfunction, obesity or thyroid problems. Cancer, interaction with some medications, uterine fibers and polyps can also trigger menorrhagia. To prevent menorrhagia from generating a case of anemia (due to the great loss of red blood cells and iron) or intense pain, doctors usually resort to hormonal medications (such as contraceptives) or steroid-free anti-inflammatories.